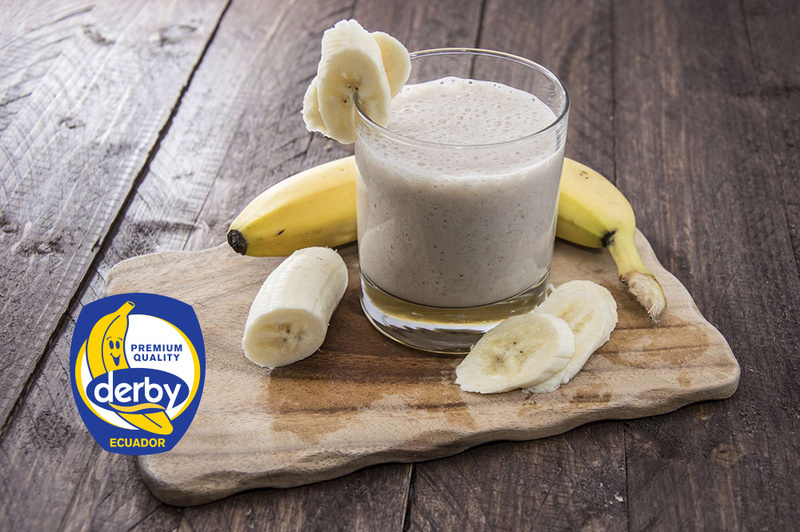 Smoothie with apples and bananas | DERBY® PREMIUM BANANAS RASTODER Company - DERBY bananas and other fresh FRUIT and VEGETABLED for you! If you want to eat a healthy meal in the morning, it’s best to cut fruit. Anyone who is not accustomed to eat apples or bananas in the morning will find it easier to eat a fruit meal if you offer it in the form of a tasty fruit juice, a mix. This way, your children will start a day with a healthy meal and gain healthy habits. Add all the ingredients, except ice, to the mixer, and add ice at the end. Stir the mixture for a long time. If desired, add apple and some citrus, such as orange; If you choose citrus, do not add milk. Combine the ingredients and prepare a dif-ferent healthy breakfast each day.